According to this tabloid report, it appears the British Prime Minister is mad at the US Emperor because Obama tried to blame him for the Libya disaster. 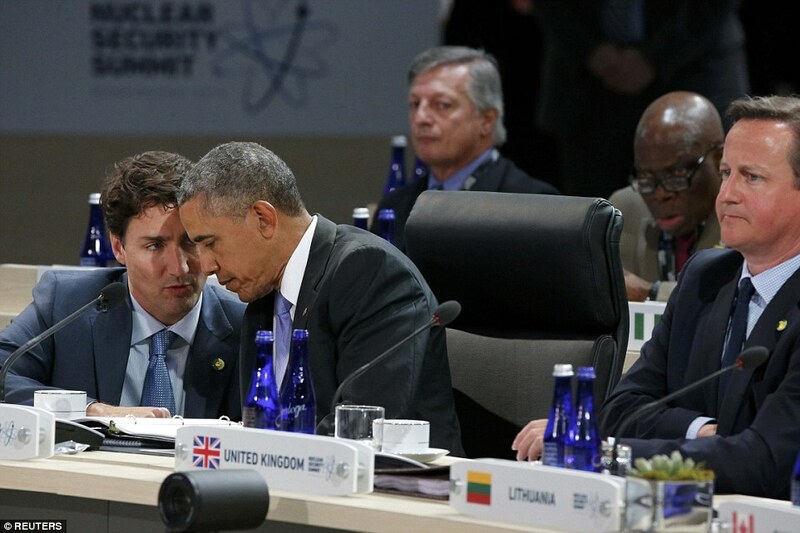 On top of that the POTUS is now BFFs with the new left wing pretty boy PM of Canada. Hopefully this ruins the “special relationship” between the UK and US regimes. It never has benefited the average American or Briton in any way. It dragged millions of Americans into two World Wars, and since then the British Military has basically acted as America’s sidekick on a number of Imperial adventures. It’s really just a cover so the two governments can wage aggressive war without being labeled “unilateral.” If Obama has managed to fracture this “partnership” then good. At least he’s accidentally done something right. I’m under no illusion that an independent Scotland would have been some kind of Libertarian society. The Scottish National Party after all is a social-democrat party (socialists for those Americans not familiar with the term). They advocate membership in the EU and want to continue to use the fiat British currency. It’s also worth noting that Scots tend to vote for the UK’s Labour party, which judging by recent history, seems to advocate both a fascist State directed economy and constant foreign wars. It’s basically Britain’s version of the Democrat party. However, as I pointed out in previous posts, there were plenty of reasons to want the UK to break up. So I’m quite disappointed. But I still am excited this almost happened. Literally no one in the media or political elite advocated the English or the EU marching into Scotland and forcing the Scots back into the Union at gunpoint. So all those Lincoln worshipers who claim the right of states to secede was “settled” by the “Civil” War have been exposed as hypocrites. This is evidenced by a recent pole that shows 1 in 4 Americans favor their state seceding from the American Union. As I’ve written before, the USA is not a real “Nation” in any meaningful sense of the word. It’s a tax jurisdiction. It’s a huge geographic area with over 300 million people from many different backgrounds and cultures that the elites can plunder to fuel their own egos and run their military Empire. If you want to live in a free society, you need to favor abolishing the entire thing or at least reduce its authority to where all it does is administer sea ports and guard the borders. Personally I would prefer abolishing it all together given the damage the Washington DC regime has done in my lifetime alone. The Scottish vote also seems to have reinvigorated other Independence movements in Europe. Perhaps there’s hope for that continent and its ancient cultures yet if they can trash the regime in Brussels, return to local autonomy, and limit immigration. 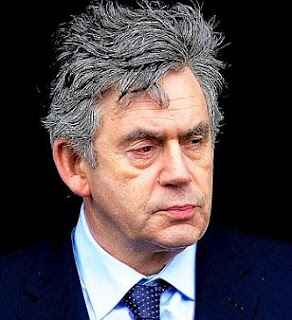 First of all, Gordon Brown never fought in any war so he needs to drop the “we” nonsense. (I’m also pretty sure there are some cemeteries in Europe that don’t include anyone from the British Isles so perhaps he should have rephrased that.) Secondly, Russians, Americans, Canadians, Australians, South Africans, and New Zealanders also fought on the British side. Does Brown think they should all be united under one State? (I shouldn’t give him any ideas). And the third and most important point, is that in a sane world this would be an argument against the Union. Scotland might have been able to stay out of both those wars and not had 147,609 and 57,000 of their young men killed if they hadn’t been part of the British Empire. After all it was the UK government that declared war on Germany both times, not the other way around. Funny how old Gordon didn’t bring up the Iraq War or any of the other misadventures the UK military has been involved in since 1945. “Nationalism is a bad kind of politics, it tries to create artificial barriers between people,” – Heather Whiteside, a 21-year-old graduate from Glasgow University who came to see Brown at a “No” campaign event. Does she know what “Nationalism” means? Brown was clearly using a Nationalistic argument in bringing up the British Military’s war dead. He’s just trying to replace the real Nation of Scotland with the fake Nation known as the United Kingdom. 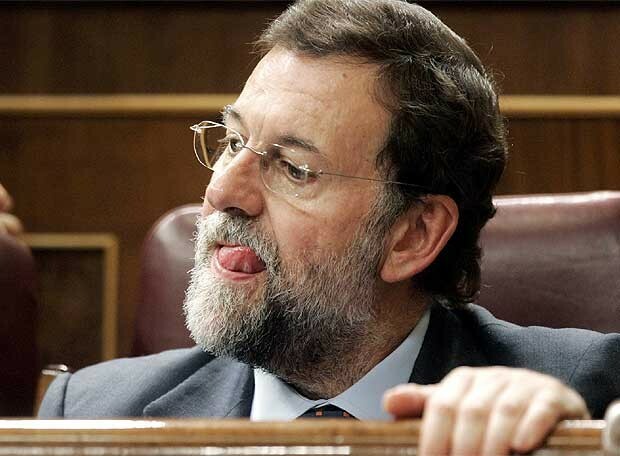 “Everyone in Europe thinks that these processes are hugely negative,” – Spanish Prime Minister Mariano Rajoy referring to Independence Movements in European States. That’s just a blatant lie, and what makes it so incredible is that it’s obviously false. If everyone in Scotland thought it was negative, they wouldn’t be having the vote tomorrow. And I guess the millions of people all over Europe, including Spain, Germany, Italy, France, and over 2 dozen other countries, who want independence from their current tax jurisdictions don’t count as people either. When he says “everyone” he must be referring to the Gordon Browns of the world. In other words the European Elite, the ones who count. The UK government has been helping the regime in Washington embroil the American people in unnecessary wars for a hundred years. The average person living in the USA will be better off with a smaller, weaker UK State regardless of what our Emperor says. As for the UK being a force for good, Wikipedia offers a long list of war crimes the UK military has committed since 1900. Ask the people of Iraq or Ireland whether the UK has been a force for good. 1. Small states are better. I would encourage anyone reading this to check out the article by Peter St. Onge I linked to, but the main point is that smaller European states are richer than larger European states. This includes states with similar ethnic/linguistic characteristics. Germany is poorer than the small German-speaking states while France is poorer than the small French-speaking states. So it’s doubtful that the average Scot is benefiting from being part of the larger UK. 2. Governments that hold power over smaller amounts of people are more responsive to the people they rule. This is just obvious. Here in America, you’re certainly more likely to get the mayor of a small town to listen to your complaints than you are President Obama. As St. Onge points out, this is probably one of the reasons smaller states are wealthier. If the government of a small area embarks on some foolish scheme (think ObamaCare, No Child Left Behind, The Community Reinvestment Act, etc. ), it’s easier for them to reverse course. When a giant mega-state like the US or even the relatively smaller UK creates a massive bureaucracy to implement some new “entitlement” or “reform” it ain’t goin’ nowhere. These are governments that are still subsidizing ethanol after all. 3. Small states usually don’t wage offensive wars or build military empires. I don’t recall Luxembourg invading anybody recently. I don’t think Lichtenstein has any overseas military bases. This really has nothing to do with the people living in these countries, it’s just that their governments don’t have the manpower or the ability to extract enough wealth from their subjects to build up a big army. This is yet another reason why these countries are wealthier. They don’t spend tens of billions (or in the case of the US hundreds of billions) on so called “defense.” Yet somehow Switzerland has remained pretty secure over the last few centuries. 4. The UK is one of the worst warmongering states of the last 200 years at least. Of all the larger European states, I think the UK would be the best one to break up. Wouldn’t it be great to weaken the USA Military Empire’s sidekick? Let’s not forget it was the UK government that helped Wilson and FDR trick the American public into 2 European wars. Let’s not forget they basically founded Israel and caused that whole debacle. Let’s not forget they carved up the Middle East among arbitrary lines and supported ruthless dictators throughout the 20th century. Tony Blair was GWB’s best friend when it came to murdering Iraqis. Let’s not forget that when the USA finally got a president that seemed timid enough to stop engaging in any new wars for a while, the UK helped pressure the weak-kneed Obama into a bombing campaign in Libya that left that country a mess. I could go on and on. Let’s just say good riddance to the damn UK. 5. Groundskeeper Willie says so. 6. Queen Elizabeth isn’t the legitimate Queen of Scotland anyway. 7. 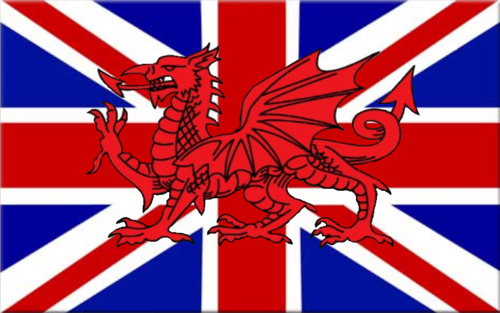 The original union took place because a few Scottish Noblemen invested their money foolishly and were bribed into joining Great Britain in return for being bailed out. Sounds kind of like how the banksters operate today. No “union” that was founded under such circumstances needs to remain in perpetuity. The USA has nothing on the UK when it comes to the decline of freedom. A boy was arrested for a tweet that was widely viewed as insensitive. Now I’m not defending the tweet. It seems pretty mean spirited. But just because this Olympic diver took offense, why does that give the state the right to imprison him for any length of time? Even in a country that doesn’t seem to consider freedom of speech an absolute right, a law against “malicious communication” seems ridiculously vague and draconian.